You can combine a large selection of simple text processing actions into your very own workflows. 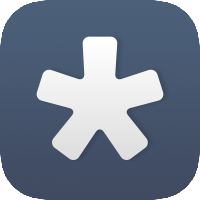 Pythonista is an integrated development environment for writing Python™ scripts on iOS. You can create interactive experiments and prototypes using multi-touch, animations, and sound – or just use the interactive prompt as a powerful calculator. AppSales allows iOS and Mac App Store developers to download and analyze their sales reports from iTunes Connect on the iPhone.